When I first arrived after a spell in Italy, pursuing the Catalan girl I would eventually marry, I lived out of a rucksack in an unfurnished apartment near la Sagrada Família. I owned a guitar, some cookbooks, a rolled towel full of chef’s knives, and not much else. But I used to sit on an inflatable mattress and read the Michelin guide (not quite by candlelight but certainly by bare bulb) and dream about food. Every few months I’d manage to save up enough to go and eat in what was for me an undiscovered world of unbelievably good Catalan restaurants. I discovered chefs like Jean-Luc Figueras and Jaume Bargués. This was long before the city became a destination for food tourists, before writers and celebrity chefs flocked here for inspiration, before the Boqueria market became a theme park full of tour groups. I was frequently the only foreign customer, and I was always the youngest. It wasn’t just the posh nosh that opened my eyes; the warm hospitality and skillful home cooking of my girlfriend’s mother and extended family introduced me to classic Catalan recipes. I’d get bags of bolets and seasonal vegetables from relatives’ gardens to take back to my bachelor pad where I’d clumsily try to replicate some of the meals I’d eaten. In those largely pre-Internet days I relied on word-of-mouth to find good places to eat. When someone’s eyes lit up while describing a neighbourhood favourite, I’d head straight over there and take advantage of bargain menus del día for under 1000 pesetas. Now it’s much, much easier to eat well in Barcelona. Travel guides, tours, apps and maps can lead anyone with a smartphone to the nearest top-rated restaurant. So why the blog? Because my eyes still light up when I find a neighbourhood favourite or a mind-blowing fine-dining feast and now it’s my turn to share some local knowledge. 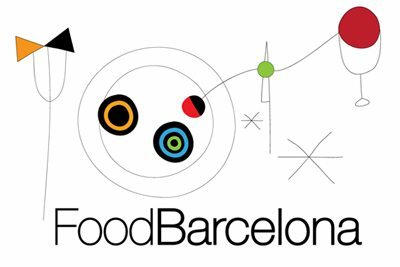 The blog is for anyone in Barcelona, visitor or resident, who, like me, loves Catalan cuisine and appreciates the passion and skill of the chefs and cooks who work here. P.S. Barcelona’s always changing. Restaurants open and close all the time and excellent places slip under the radar. Is there somewhere you love that I haven’t reviewed or added to the Food Map yet? Let me know! P.P.S. Want to hire me? I am founder and senior copywriter at Barcelona’s leading copywriting agency, BCNcontent, and I can be contacted for freelance journalism through my BCNfreelance site. Hi there, I really enjoy your articles since I do love food my self. I linked to your site from my first blog post, and hopefully more people can discover the lovely food you write about!